What's the ultimate all-wheel drive car? All-wheel drive. Before the 1980s, driving wheels at both ends of a car was largely the province Subarus. (Though, the first was the "Dernburg-Wagen" in 1907.) Times have changed, especially for high-performance vehicles. What's the ultimate all-wheel drive car? To quote Sam Smith in his ultimate Quattro love letter: "It is virtually impossible to overstate the impact that the Quattro had upon the rally world, nor the public-relations gold mine that came out of it. 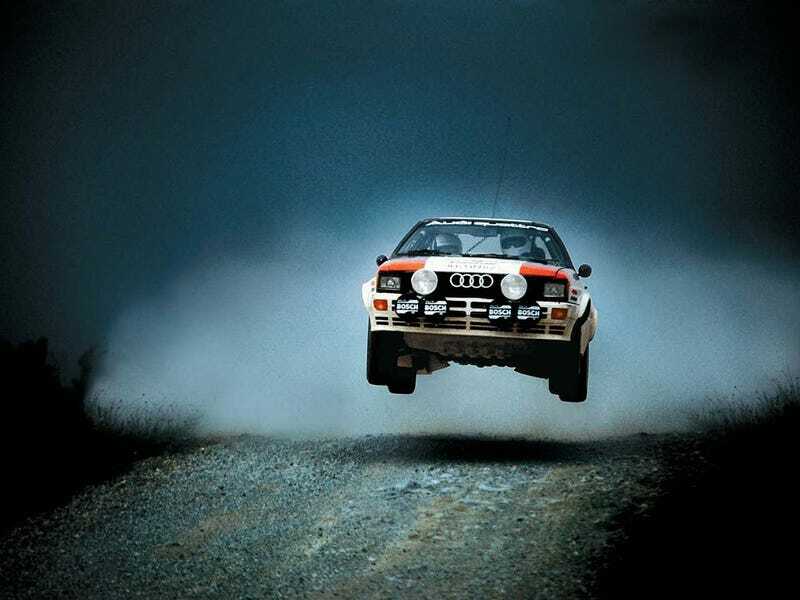 When Audi entered the car into the World Rally Championship in 1981, all-wheel-drive rally cars didn't exist. Audi's WRC entry was nothing short of monstrous, and the Quattro all but dominated its first few years on the scene."